Games can turn on one or two moments; a call here, a mistake there, and momentum shifts—that’s certainly what happened in the USA vs Argentina XV game, and every moment seemed to turn the game in favor of the hosts. 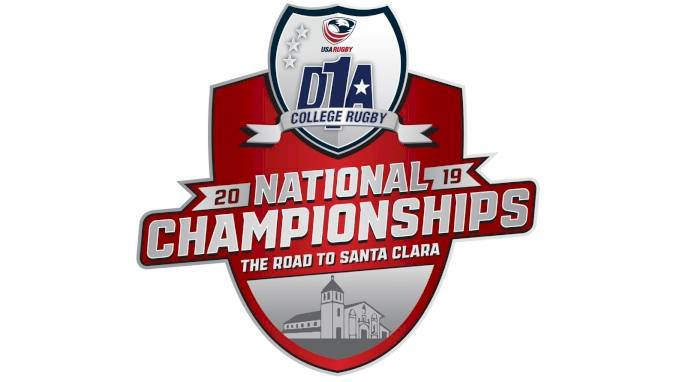 USA mistakes and skill breakdowns, and one or two dodgy calls, combined with some clinical finishing from Argentina XV, put the USA 21-0 at halftime with a player off with a red card. The Eagles never recovered. And they could have. 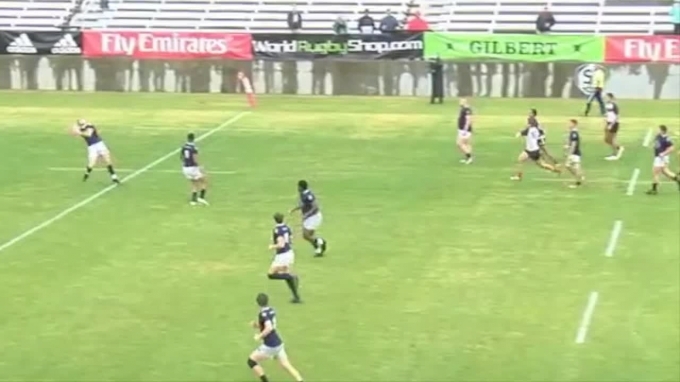 There’s no way around it, the USA gifted Argentina XV this opening try. The movement started after Argentina regained the ball after a box kick. What became quickly apparent was that the USA wider defensive line consisted of mostly forwards. Prop Titi Lamositele, lock Greg Peterson, and lock Nick Civetta were guarding the Argentina backs. The ball was sent quickly out to the wing. Civetta took it upon himself to nip that movement in the bud by blitzing up. He was too late, or Argentina was too quick (kind of the same thing), and that left a big hole with only Bryce Campbell and Gannon Moore to cover. Moore has Dominguez dead to rights and could have thumped the Argentinian wing into touch. But he went a little too high, and thought more about collision and less about wrapping up. Dominguez swatted him aside. He does slow Dominguez enough that Will Magie and Shaun Davies can get there. One more mistake. Magie goes way to high, but not aggressively enough to tie up the ball, and Davies makes a tackle, only for Dominguez to offload beautifully to Carreras for the try. Not enough communication on defense to adjust the alignment; three players going for the big hit now instead of containment; poor tackling technique. The actual try scored by Argentina XV was a thing of beauty. They identified a hole in the USA defense in the lineout and exploited it. The play of the movement was from the scrumhalf, Alejandro Experra, who took a pass and immediately changed director to set up Favre. Brilliant stuff. But it never should have happened. The lineout came from a penalty unfairly called on the USA. The teams were setting up for a scrum, which had to be reset. Referee Gonzalez then had a chat with Lamositele, and it’s clear Lamositele is saying Argentina is binding around his armpit and dragging him down. On the next engagement, not only is Lamositele proved right, Argentina prop Lucas Favre actually changes his bind during the scrum, from further down Lamositele’s back to his armpit. That’s a no-no—easily a penalty. Gonzales, who is right there, calls a penalty against the USA. After the first two tries, the USA had the run of play. Several times they had good scoring opportunities. Here’s one. Some excellent work stemming from a turnover produced by the USA defense. The offloads and strength in contact are there, and the USA has a chance. Watch this from Joe Taufete’e. He’s hit, but he looks for support. Why do we point that out? Because closer to the tryline, he’s in the same position, and instead crawls ahead trying to score, giving up the ball. This was an enormous play, because a try at this point would have made it 14-7 and the Eagles are still in it. There's more. Knock-ons, kicks when they weren't needed ... the chickens noticed in Chile and against Samoa came home to roost. But they’re not in it, and the frustration grows. Here, Argentina is clearly offside (Favre again) and Hanco Germishuys complains to no avail. So when Paul Lasike is grabbed around the ankle and impeded, who lashes out, and gets a red card. Moments later, Argentina XV scores another try. The USA players think the final pass is forward. It might have been—it was a very flat pass to a speedy, onrushing teammate. But it’s not called. More important to this analysis is Dino Waldren’s expression. That is the expression of a team that is seeing the game slip away. Change one or two of these things. Get the call in the scrum, or make the first tackle in the opening minute. Or … curl back away from the tryline and let the support come in and go at it again, or fall to the ground when a player grabs your ankle and get the penalty called for you, not against you. From those little moments momentum changes come.